Counter Espionage Investigations To Protect Your Business With the Help of ISOG Private Investigator and Private Detective. ISOG private investigators and private detectives find out and eliminate industrial espionage actions. This activity aims at safeguarding immaterial assets, including intellectual property rights, of a person or company, terminating the theft of formulas, production processes and strategic plans put in place by employees or external agents. The most insidious and potentially more costly threat to corporate security remains that of industrial espionage. Many companies, especially technology companies in the telecommunications, arm and energy sectors, are victims of to espionage activities. Business competitors are not the only ones that engage in these illegal activities. State-sponsored economic intelligence-gathering campaigns remain at the center of national security agendas around the world. In order to deter or neutralize this potentially ruinous form of attack, a professional approach is necessary. 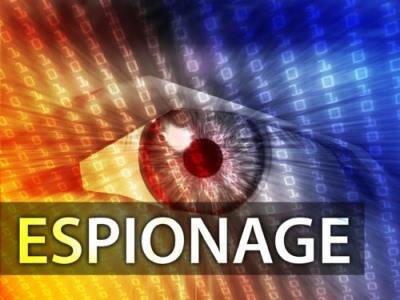 A counter espionage investigation plan should address not only security breaches through cyber-attacks, but also the classical human intelligence gathering activities. Western multinational corporations are exposed to human intelligence put in practice by business intelligence firms, transnational organized criminal groups, and emerging-markets countries such as China and Russia. Very often you can see foreign governments interested in acquiring state-of-the-art technologies in those fields and thus they utilize their intelligence officers stationed in western countries to recruit employees of the target companies in order to obtain information. It is very crucial for corporations to have a very close look upon the employees that have a key role in some critical areas of the corporation, for example the research and development department where new technologies and products are studied and developed. The espionage practice committed, by secret and intelligence agents working for foreign governments, are more common than people would think. As a matter of fact, this activity is put in place by highly trained people. Technology and intellectual property rights are sought by many governments and private multinational companies that are eager to pay a lot of money for such secrets. ISOG private investigators and private detectives are expert in counter espionage investigations. THE PRIVATE INVESTIGATORS, LAWYERS AND FORENSIC EXPERTS AT YOUR SERVICE! ISOG is a professional Private Investigation Agency, Law Firm and Forensic Lab providing comprehensive offshore legal services, background check and locate services, corporate investigations, matrimonial investigations, criminal investigations, forensic services and intelligence operations to its international clients worldwide.